Are you looking for ways to increase your roofing company’s sales? Having spoken to a few companies just like yours in my time, one of the biggest downfalls seems to be typically wasting time on quotes that don’t always lead to business. It got me thinking; there must be ways you can cut down on this time by helping the customer become more informed and also using the latest technology to help build more trust. With that in mind – and having spoken to other companies who successfully employ the same tactics – I thought I’d give you six ways to help boost your roofing company sales with quicker, easier quotes! You may already be doing some of the below! These days, it’s possible to do so much more with technology that can be used to your – and the customer’s – advantage. For instance, small unmanned aircraft (widely known as drones) are now readily available. Drones are an excellent way of getting a birdseye view of the job you’re being asked to carry out, and it can also take photos for later reference, and for showing to the customer! Once you get the go-ahead for the job, you’ll also be able to show the customer ‘before and after’ shots so they can see exactly what they’re paying for – allowing you to build more trust (something that’s particularly important in the roofing industry which also depends on word of mouth and referrals). Building this sort of trust with your customers will go a long way to distancing yourself from the cowboys of the trade – for good. Plus, as more roofing companies begin to use drones, you’ll want to keep in-line with the competition! TIP: If you want to fly a drone for commercial purposes, you do have to apply for permission from the CAA first. You should also familiarise yourself with all the current regulations for flying commercial drones. As we all know, time is money. That’s why when you’re preparing to go to a quote, the more the customer knows beforehand, the better. For example, how often have you been held up at a home visit by a customer who asks question after question after question? But at the same time, you feel obliged to stay and answer – and be as helpful as possible -because you want their business. To avoid this scenario, write up a detailed, friendly guide explaining what they can expect from you as a company, including what will happen when you first arrive to their home. This guide should also include when and how they’ll hear back from you afterwards, and any other useful information that you feel they should know. This basically pre-empts all of their questions, and takes the pressure off you and your team, as you can simply refer back to the guide in their inbox. In fact, one of our own home improvement clients absolutely swears by doing this. as giving clients as much information as they can greatly cuts down the amount of time they spend on the job answering questions. This is because the customers have already read everything they need to know first. This guide is something you can send out to every prospect as standard, and it will also help them to get a feel for you as a company, so be sure it gives a good overall first impression as well as a realistic view of what to expect from you. But why stop there? The good news is, there’s even MORE you can do to ensure your customers are as informed as they possibly can be, and that includes making good use of your blog (below). Your blog is where you can answer some of your customers’ most asked questions, on the subjects they really want to know about and will be searching for on Google. For example, it’s important to blog about subjects such as price, and what can affect the cost of your roofing services. 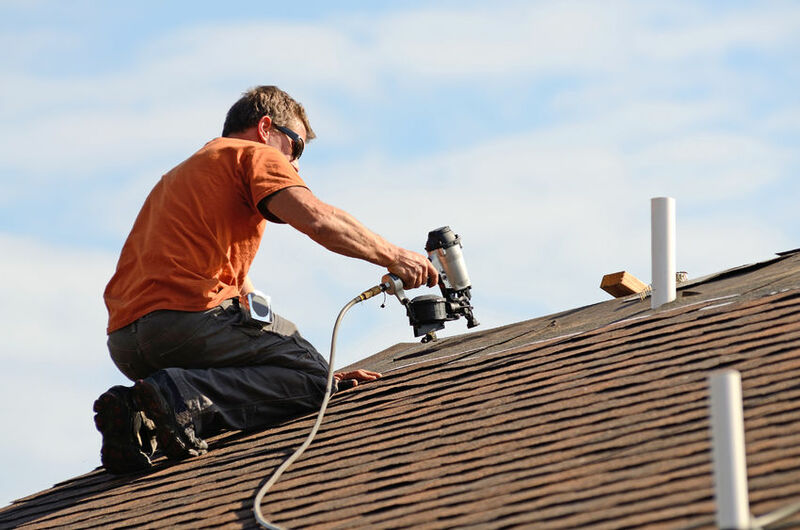 By putting this information out in the open, your customers will have a better idea of what to expect when you do send them a quote, as well as the various factors that can cause their roofing job to perhaps cost a little extra – so they’ll be fully prepared, with no nasty shocks in store! Talking in detail about subjects like this also establishes your expertise and authority in certain areas, and the fact that you’re willing to share this knowledge with them means they’re more likely to trust you – unlike other companies which can be quite cagey about giving away ‘trade secrets’ and prices. On the whole, I find most people value transparency, and let’s be honest, even though you’re giving away your knowledge and expertise for free, the value you get back in the form of trusting, loyal customers far outweighs any risk of your competitors trying to copy you. This next point comes in two parts – firstly, it’s always nice to call the day/evening before a visit and remind the customer when you’re going to be visiting the next day. This courtesy call a) helps build an initial relationship and b) avoids you showing up to an empty house if your visit has slipped their mind. Next, and I know some of my clients swear by this, is to repeat everything above in an email, detailing the time, date and the details you know about the job so far. You may think this sounds like overkill, but it’s better to cover all bases, and it also gives the customer a written record to refer to. It might take a bit of time getting used to, but making it a habit to do this for every customer will save you a lot of time and hassle in the long-run, and it also gives you a much better process to follow, with little to no room for error – which is especially important if you have a few people on your team doing quotes. Don’t underestimate the power of a simple phone call. If you’re like many of the roofing companies I speak to, you probably look at the job first, take any necessary photos and notes of the work required, answer any questions, and then go away to total it up before sending a detailed written quotation via email. However, you’re probably already aware that sometimes emails can go astray in someone’s spam folder, never to be seen until months later when they stumble across it by accident. In fact, according to the same client we mentioned above, two out of 10 emails end up in customers’ spam filters! To avoid this, always pick up the phone to check your customer as received your quote, and if there’s anything else you can help with. I find that this just serves as a nice, friendly reminder that you’re only a phone call away, and also shows that you care enough to ensure they’ve gotten their quote. Just don’t push them for an answer, as they may need time to think about it or get a couple of other opinions – something that’s perfectly reasonable for customers to do. You don’t always have to be the one making the call, either – if you’re not always the type who likes to spend time on the phone, you could delegate the task to your receptionist, an assistant, or someone else on your team. Some businesses have just one person dedicated to doing this for every quote. If you’re qualifying your leads correctly, most of the customers you speak to will be fully ready to receive a quote and make a decision. However, there may still be the odd lead who just wants an idea of price and may be ready in a couple of months. That doesn’t mean they are any less important, though! So, don’t simply write them off if they seem to be the right fit but are still debating whether or not to take the plunge. Instead, you can give them the help and information they need by keeping communication lines open, and sending them automated emails that include helpful blog posts, case studies and other useful links that will help move them along their buyer’s journey and nurture them into becoming customers. This is known as email nurturing or lead nurturing, and you can use various email software to set up these ‘workflows’ or drip campaigns (basically a set of emails which anticipate what they’ll be thinking about next) so that you can easily stay in touch – so when they ARE ready, you’ll be the one they go to first. These emails should be engaging, ask the occasional question, and make yourself available to them at any time should they wish to get in touch with you – just avoid coming across as pushy or salesy; concentrate on giving them advice and helpful information. Despite taking all of the measures above, it’s wise to remember that you’re probably still going to encounter the occasional lead that just isn’t the right fit for your services – and you can’t waste your time chasing every lead you encounter, as that just doesn’t make good business sense. So, to help you quickly define who’s a good fit and who isn’t, I’d recommend creating a checklist which outlines exactly what you’re looking for in the perfect customer, and ensure everyone in your sales team has a copy. It’s absolutely essential to qualify leads before you even go for a quote, by listing all the services you provide – and the ones you don’t – on your website, along with detailed pricing. This ensures that all (or at least most) of your leads are fully qualified. Chances are, you probably have some way of qualifying leads already, either by using buyer personas to provide specific information on your website, or just by assessing the needs of a prospect on the phone or via an online form before agreeing to provide a visit and a quote for the job ahead. I hope you’ve found this blog inspiring when it comes to cutting down your time on quotes – after all, if other companies are using these tactics to increase their sales, why can’t you? Perhaps you even use some of these methods to boost your roofing company sales already. If you’re looking for some more tips or advice on increasing your roofing company sales in the digital age, feel free to leave a comment below, or even get in touch with me directly – I pride myself on being here to help companies just like yours succeed. In fact, it’s the main reason I get up in the morning!